The final three players of Event 3: $560 Deep-Stack NLHE Reentry — Tom Dobrilovic, Anthony Sivolella, and Warren Wiggins — opted to end the tournament prematurely and crown Dobrilovic the champion. 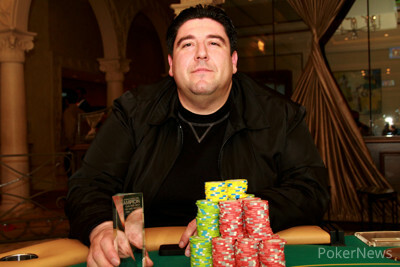 Dobrilovic earned $39,650 for his efforts along with the coveted Borgata Spring Poker Open trophy. This is his largest cash since January of 2013, where he won a black-chip bounty event during the WPT Borgata Winter Poker Open for $67,546. The New York native has over $1 million in career live tournament earnings, and two victories here at Borgata. Dobrilovic positioned himself for the win with two key knockouts at the final table. He eliminated Henry Lopez in 10th place with the against the , and roughly three hours later he busted Maggie Morris with the once again. Morris was at risk with the , but couldn't crack the dominant pair. 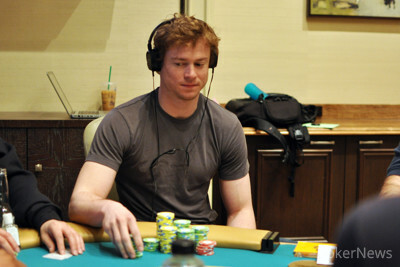 Warren Wiggins took third place, earning $13,454, and Anthony Sivolella was second for $23,367. Wiggins only had $41,618 in earnings prior to this tournament, and Sivolella only $67,543. Day 2 of Event 3 began with 27 players after the bubble burst on the final hand of Day 1, and the eliminations were fast and furious. In less than an hour, a third of the field hit the rail, including the chip leader entering the day; John Tavss. After losing a few pots, he was all in and at risk with the against Dobrilovic's . The pocket rockets held up, and Tavss was eliminated. The road from 18 to 10 was equally short and sweet. Bernard Liberati attempted a river bluff-shove against James Gettinger, that was unsuccessful, and the final table was set when Timothy Pirraglia lost a very unconventional race against Morris. The final table was filled with fireworks, including monster eliminations in ninth and sixth place. Both Nick Gandhi and Joe Stiers were among the leaders when they were bounced by flopped sets — Stiers flopped an underset of his own — and were left to think "What if?" Congratulations to Dobrilovic, Sivolella, and Wiggins for their deep runs, and especially to Dobrilovic for taking home the trophy. Be sure to stay tuned to PokerNews for continous coverage of the 2014 Borgata Spring Poker Open. James Gettinger three-bet all in for an additional 356,000 over an open from Anthony Sivolella, and Sivolella tank-called. Gettinger was thrilled to have live cards, but received no help from the board and was eliminated. "Good luck everyone," he said to the table. "It was a pleasure playing with you." 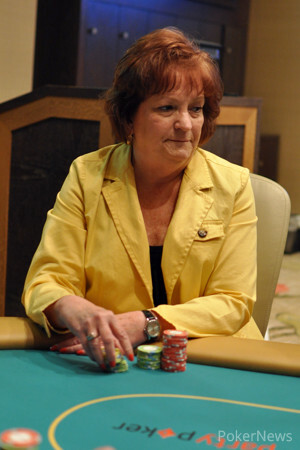 Maggie Morris found herself all in and at risk preflop with , but unfortunately she was dominated by Tom Dobrilovic's . The board came , and Morris was eliminated in fifth place. 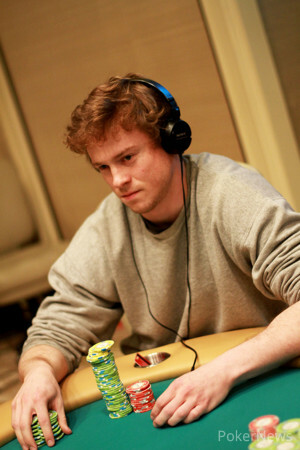 In a three million-chip clash of giant stacks, Joe Stiers has been eliminated in sixth place. Stiers raised to 85,000 from under the gun, Warren Wiggins re-raised to 300,000 from the small blind, and Stiers made the call. Both players knuckled on a flop of , and the turn was the . Wiggins led out for 300,000, Stiers moved all in for around 1.1 million, and Wiggins immediately called. Stiers needed the case nine to survive, but it was not to be as the completed the board. "Yes!" Wiggins said excitedly. "Yes!" Stiers was less enthusiastic after the massive cooler. "Well," he said to no one in particular. "That was fun." Joe Stiers raised to 85,000 in early position, Bennett Ellenbogen raised all in for 557,000 on his direct left, and the action folded back to Stiers. The two began conversing quietly with one another, but the tournament director was quick to stop them. At Borgata, even if players are heads up, they are not allowed to discuss the contents of their hands. Stiers opted to make the call after a few more minutes, showing . He was ahead of Ellenbogen's . The flop came , giving Stiers a pair of queens, but the on the turn kept Ellenbogen alive with a flush draw. The on the river was red, but the suit was not the right one to save Ellenbogen. 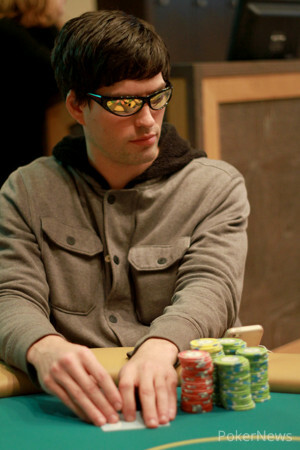 He was eliminated in seventh place, while Stiers chipped up to around 1.5 million. Joe Stiers raised to 70,000 in the cutoff, Maggie Morris shoved for 485,000 from the big blind, and Stiers called. 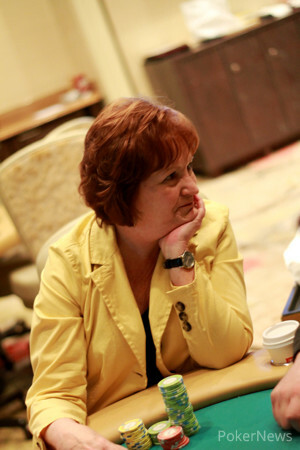 Morris used her "one time," as the flop, turn, and river came , and she doubled to over a million chips. The players are now on a short break. James Gettinger raised on the button, Bennett Ellenbogen defended his big blind, and the dealer fanned . Ellenbogen checked, Gettinger continued for 70,000, and Ellenbogen announced that he was all in. "Call," Gettinger said after a moment of thought, committing his last 374,000. "Straight draw," Ellenbogen announced, showing . Gettinger revealed , and held as the turn and river bricked off , respectively. 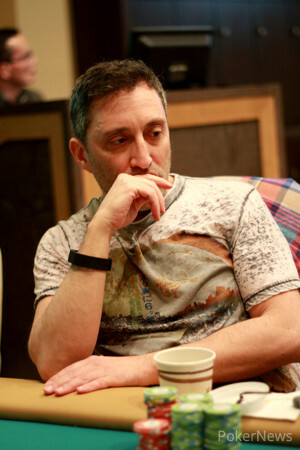 He doubled to 911,000 chips, while Ellenbogen slipped to 650,000. James Gettinger moved all in for around 250,000 on the button, and Bennett Ellenbogen called in the big blind. Gettinger added a gut-shot straight draw on a flop of , the on the turn was a brick, and the completed the board to give him a winning pair of tens.